Suspension of H-1B visa will slow research work, claimed a top scientific group in the US. 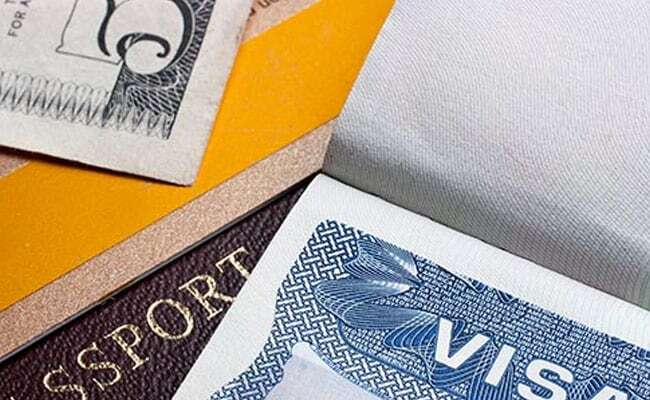 Washington: The suspension of H-1B visa will slow the work done by American research institutions that depend on foreign students and researchers, a top scientific group in the US has said. "The extended visa review process will force promising young foreign students to delay the start of research careers while they wait for their visas. It will also slow the work done by research institutions that depend on foreign born students and researchers," the American Society for Cell Biology said. The statement comes days after the US Citizenship and Immigration Services (USCIS) announced a six-month-long suspension of premium processing of H-1B visa petitions filed on or after April 3, 2017. This suspension will eliminate the option for expedited review of H-1B visa applications. The American Society for Cell Biology said the recent travel-related actions by the Trump Administration have created a sense of uncertainty and unease. "The potential of not being able to return home after visiting countries outside the US may force many in the scientific community to refrain from traveling in the first place," it said. Noting that the scientific process does not take place in a vacuum, the society said it is collaborative and depends heavily on the interaction and exchange of ideas and information that can only take place face-to-face at scientific meetings. "It is critical for researchers, regardless of place of birth, to share the results of their research with colleagues. It is also critical for them to learn what other research is being done in their area of expertise," it said. "The ASCB and its leadership recognise the need to protect the nation. However, we also recognize the importance of preserving principles critical to the scientific process that will keep the US a scientific leader," the American Society for Cell Biology said.